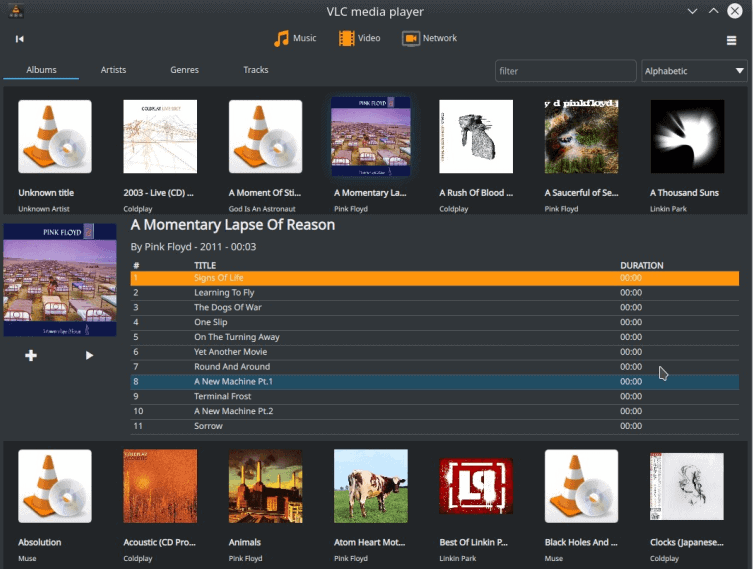 VLC Media Player 3.0 was released in 2018; the non-profit organization that is behind the program, VideoLAN, revealed information about the upcoming VLC Media Player 4.0 recently in a presentation at FOSDEM 2019. 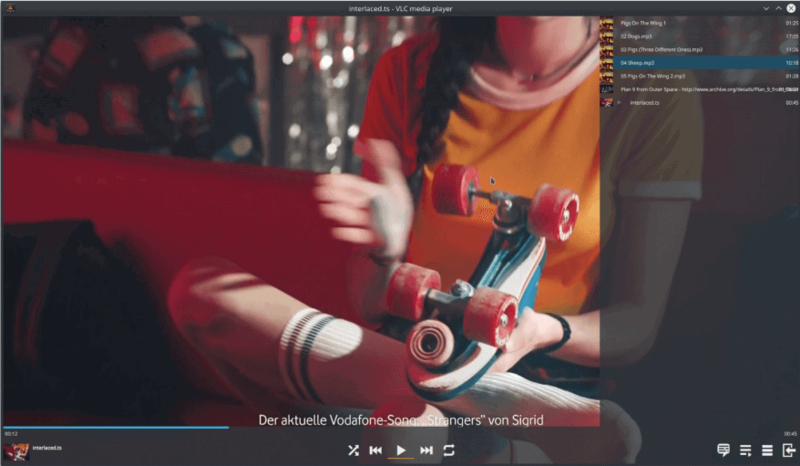 VLC Media Player 4.0 will be the next big release of the cross-platform media player. VLC 4.0 will introduce new and improved features, but it will also drop support for older operating systems. In short: VLC 4.0 won't support Windows XP or Vista, Mac OS X 10.10 or older, Android 4.2 or older, or iOS 8 or older. Good news is that a preview version of the program is already available for download. Be advised that the preview is a development build that may have bugs, missing features, or other issues. Interested users can check out the development directory on the VideoLAN website to download the latest builds to their devices. Changes are coming to VLC's video output as well; the change is beneficial in several regards, e.g. when it comes to management but also recycling. The media library that is used by the Android version of VLC comes to the desktop versions and the iOS version of VLC with the release of VLC 4.0. Features include audio and video indexing, support for playlists, and support for shares. VLC 4.0 will feature support for virtual reality headsets such as Vive, PSVR, or Oculus. The engineers managed to find a way to interact with the headsets directly so that it is not necessary to install dependencies to do so. 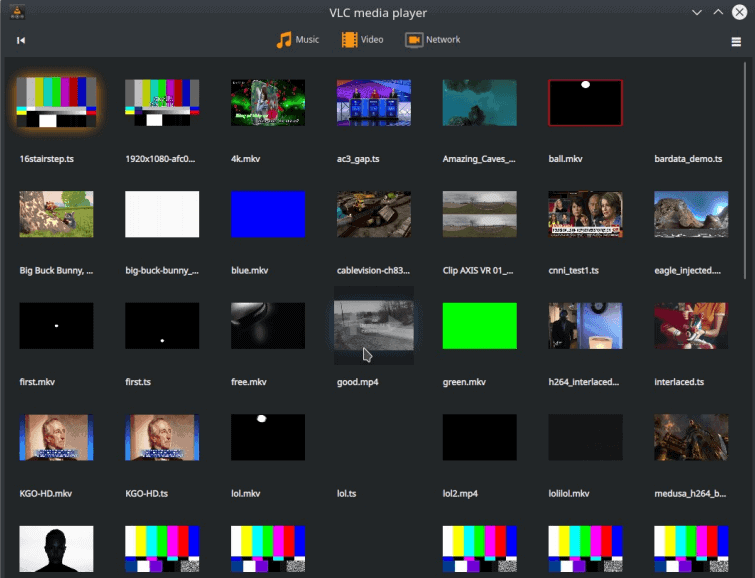 VideoLAN plans to change the default user interface of VLC Media Player. Below are some screenshots of the new interface. Note that this is not set in stone yet. 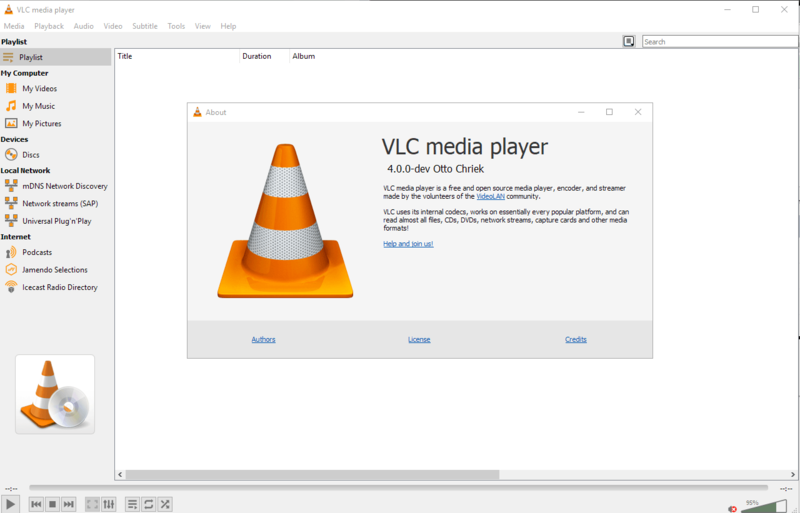 VLC Media Player is a popular media player that is available for all major desktop and mobile platforms. The outlined features are promising and while it is too early to give a final verdict, it will be a major release that will introduce features that prepares VLC for years to come. Now You: Which media player to do you use mainly on the desktop and mobile? VLC is a nice media player for the common file formats, however I still prefer Klite Codec Pack. Is it really worth upgrading ? They already support the latest codecs. You can stream over SMB, in windows. The play list manager is already good. Transcribing UI is also good enough. It’s not as awesome as MPC-BE. No, that’s not what you use. What Jeff said was MPC-BE (“Black Edition”), which is under active development and pushes out nightly build everyday. The one you use is MPC-HC (“Home Cinema”) – I saw that from your version number – which ceased development in 2017 already. The two are very different. I do agree with Jeff that VLC is not as good as MPC-BE or PotPlayer. It never has been. The next release makes a slight pop sound on some MP3s when it starts. So I just with the version that caused no issues. I primary stream media from my Kodi server. On the desktop, I use the web interface for this, and on mobile, I use Yatse (A Kodi front end for Android). About time they changed the interface, also gapless greatly appreciated, as I test sound files with it before adding to the library which is handled by a different program. If only they’d get rid of the stupid cone. VLC is the only media player we use and we use it on everything “to play media”. The library functions are garbage, especially on android. Version 3.x is final version that works in XP and XP x64. I used to see this error popup once a day when I first open VLC, but sometimes last year it disappeared. I’ve never seen another video player doing any such kind of “font cache rebuilding” :@ . How is this possible that any other player works perfectly with fonts and subtitles without any popup and waiting to rebuilding anything?! Come on, waiting fo about 1-2 minutes before I can watch my first video?! I use MPC-HC on the desktop. Infuse on iOS. VLC seems OK, so does MPC, but I like PotPlayer the most, because I’m used to the UI. When I have multiple files, like multiple episode from TV series, the playlist of PotPlayer works best. It’s docked to the right in fullscreen so when you drag your mouse to the right edge of the screen, playlist shows up. Not only that, but when you doubleclick one file from the folder, it automatically enqueues all files into the playlist and arranges them in alphabetical order. Neither VLC or MPC do that. Also both have pretty bad UI’s, not ugly, just bad, I like how both use the Windows shell and I hate PotPlayer for not doing the same too. It looks like we lose 90% of the customization options with this new ugly mobile UI? I hope I’m wrong. I’ll stick with VLC Player and never use PotPlayer no matter how good its UI is. Not only the PotPlayer is closed source, but it is also a *shame*. It would be nice if they explained what terms were being violated. Pot Player doesn’t use ffmpeg unless you install it separately after the player is installed. Whoa. Didn’t know this. Thanks gwacks. VLC’s network streaming is awesome. Use it all the time on my android tablet to watch locally decoded movies. I’ve been a big fan of VLC since forever, but lately I have noticed that it has trouble playing some new fancy Ultra HD encodes (e.g. video stutters, while audio plays fine or vice versa), while PotPlayer and SMPlayer play the same files without any issue. I hope VLC improves the situation in v4. Looks like you’ll need 20/20 vision to be able to see anything if the UI in the screenshot is going to become the default. I positively detest these black backgrounds with fonts almost the same color which fails to take into account that older users don’t have perfect eyesight anymore and can’t see what’s written on the interface. The new GUI doesn’t look like something I’ll want to use. Well, all good things come to an end, or so it seems. Goodbye VLC. Fortunately there are good alternatives. notice they offer an msi build, that would help when deploying to multiple pc using a gpo. I use vlc, nix and win based pcs. just always works for me to mess no fuss. PotPlayer on windows, mpv on linux with smplayer frontend. For a while now, I’ve been trying (to the extent possible) to use Windows apps that are cross-platform with Linux, and for media players I’ve ended up with VLC and SMPlayer. On *my* Windows laptop, at least, SMPlayer’s video rendering and stability is *markedly* better than VLC 3.0.x’s, so I use SMPlayer for videos. And because VLC’s playlist management is better than SMPlayer’s — not mind-blowingly great, just a little less primitive — I use VLC for audio. The biggest hassle in using the two players is that their default keyboard shortcuts are very different and I’m a little reluctant to customize one to more closely match the other because it screws me up when I have to use someone else’s computer … and I still don’t know SMPlayer’s keyboard shortcuts as well as I know VLC’s. On my Android phone, SMPlayer is not available so I use VLC for both video and audio. But since I almost never watch videos or listen to music on my phone, I really can’t say how well it works. Pot Player. Went to it when MPC HC became unstable a few years ago and development ceased. Have to try MPC BE (as noted in the second post) since I knew MPC was taken over but not by whom. Found it on Source Forge. Loved MPC and used it for years as it morphed into the HC version. Super simple, lots of capabilities. I’ve used SM player, too. Seems to work well but the interface is too kid-like and some useful settings don’t seem to save. Pot Player has an incredible number of settings, filters, codecs, etc., most of which I don’t use but the interface is simple and it does the same thing every time you play a video. VLC is open source and trusted. That’s the main reason why we use it on our machines.